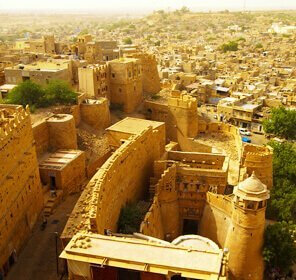 Whether it's the pink city- Jaipur, or the golden hues of Jaisalmer or blue settlements of Jodhpur, Rajasthan has every color in its palette. 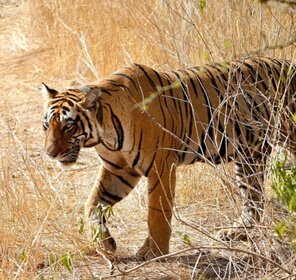 And to explore every color of state, Tour My India is offering an energetic cycling tour that is a mix of some exercise and local exploration. 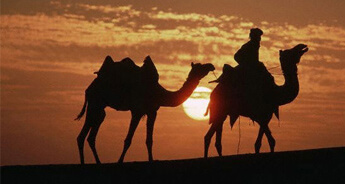 This nine days journey across the different regions of Rajasthan will commence from Delhi. 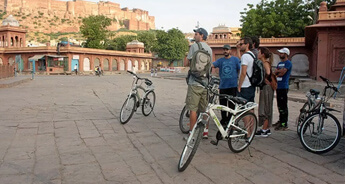 After soaking up in the energy of Delhi, the cyclist will make their way through the heritage sites to reach Agra to enjoy some face time with the Taj Mahal and later to Bharatpur. 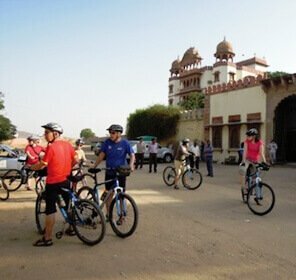 From Bharatpur, you will cycle through remote communities near Karauli and Talabgaon, to visit the famed "Pink City" of Jaipur. In short, this trip will work out your shutter-finger as much as your calves. 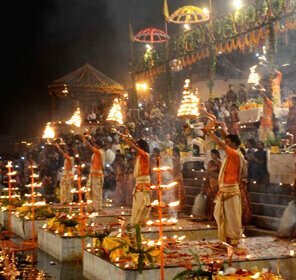 So to make your trip a power peddled one, book this trip right away with Tour My India. 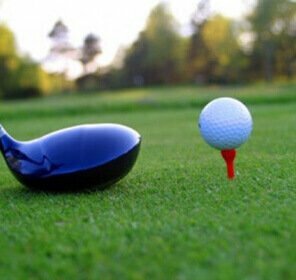 All you have to do is fill the requirements in the online form and get to know the details of the package from our travel experts with just a click of a mouse. Upon arrival at the Delhi airport or railway station, meet our representatives, who will transfer you to a hotel. Overnight stay at the Delhi hotel. 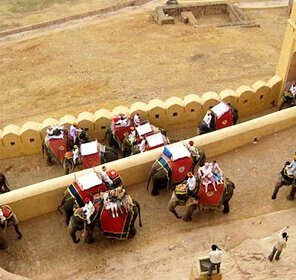 Today, you will be going for Delhi sightseeing tour. 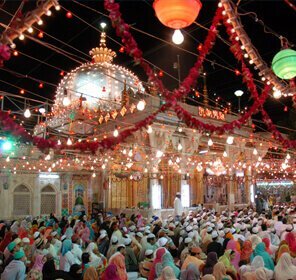 First, visit the medieval Jama Mosque followed by a rickshaw ride and walking tour of Old Delhi. Later go to Humayun’s Tomb, Qutab Minar and drive past Lutyens’ Delhi that houses important Government buildings. Overnight stay at the Delhi hotel. Early morning, drive to Agra (3.5 hours) and visit the Taj Mahal, the eternal monument of love. After exploring the beautiful Taj Mahal, drive for another hour to reach Bharatpur. Overnight stay at the Bharatpur hotel. 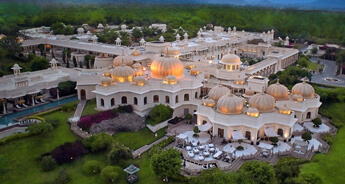 After breakfast, cycle to Deeg, a beautiful garden town with sparkling fountains and meticulous palaces. Overnight stay at the Bharatpur hotel. 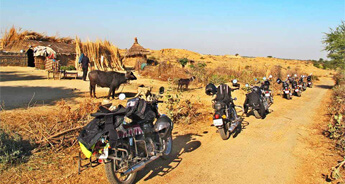 Cycle to Karauli, which is located in the heart of rural Rajasthan. The old, holy city of Karauli was officially founded in 1348 AD. 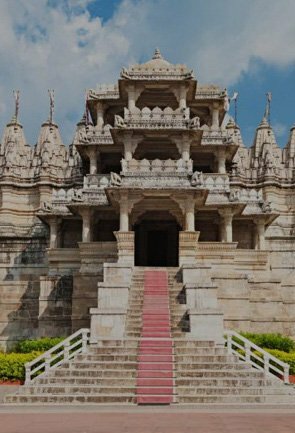 However, legend has it that it was established by Raja Bijal pal Jadon, the 88th descendant of Lord Krishna, as far back as 995 AD. Overnight stay at the Karauli hotel. 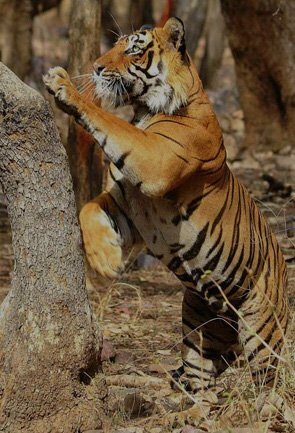 Today, you will ride in the loop around Kaila Devi National Park, a part of the Project Tiger and buffer zone to Ranthambore National Park. In the evening, we will explore the 500-year-old Karauli city palace. Overnight stay at the Karauli hotel. 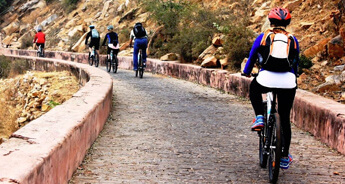 Today, we will cycle to the rural region of Rajasthan- Talabgaon. 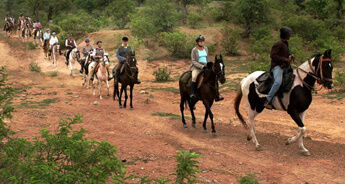 It will be a beautiful ride that will pass through the countryside and small villages. Overnight stay at Talabgaon hotel. 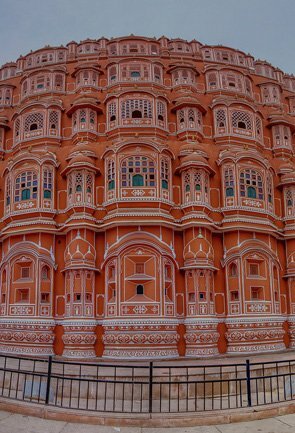 Post breakfast, cycle to Jaipur, the pink city and the capital of Rajasthan. 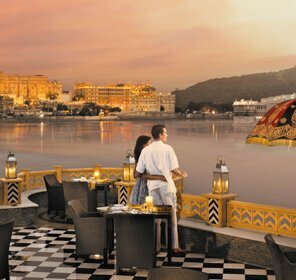 Overnight stay at the Jaipur hotel. 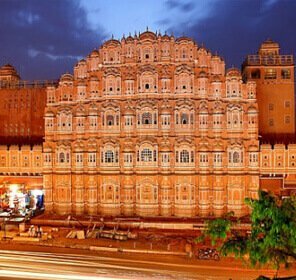 Check out from the hotel and drive to Amber Fort, which was constructed in 1592 by Maharaja Man Singh, the Rajput commander of Akbar's army. 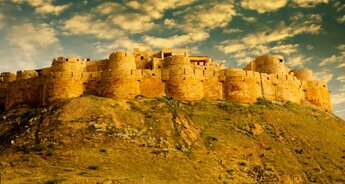 After exploring the Amber Fort, drive to Delhi.